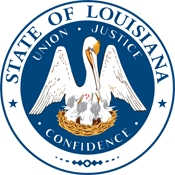 Knife Rights Louisiana Switchblade Ban Repeal Passed Committee – CALL/EMAIL TODAY! Knife Rights would like to thank Dan Zelenka, President of the Louisiana Shooters Association, for his efforts in laying the groundwork for this bill. We’d also like to thank bill sponsor Representative Mark Wright for his tireless work to get us to this point. We are also grateful to Knife Rights board member and Louisiana resident Tom Gresham and Knife Rights member Clifford Grout for their roles in assisting us in this effort. HB200 now heads to the house floor where we expect a vote in the coming days. Click here to EMAIL your Representative using Knife Rights Legislative Action Center. Click here to PHONE your Representative using Knife Rights Legislative Action Center.